The capital of Colorado as well as its largest city, Denver is called the Mile-High City because its official elevation is exactly one mile above sea level. The city has four distinct seasons with warm summers and cold winters. Weather patterns here change often and residents joke that they can experience all four seasons in a single day. Situated at the base of Pikes Peak, the second largest city in the State is about 70 miles south of the capital. Winters here are milder than in Denver, with regular snowfall, but the snow usually melts quickly. Major industries in Colorado Springs include defense, high-tech, and tourism. A quick 20 minute drive from downtown Denver, Aurora can take advantage of all the capital has to offer without being so crowded. The city manages more nearly 2,000 acres of developed park land and over 6,000 acres of other natural areas. Known primarily as a college town, Fort Collins is about 70 miles north of the capital. Colorado State University has around 23,000 students and is well-ranked with the second-best veterinary medicine program in the United States. Located 20 minutes to the north of downtown Denver, Thornton is full of parks (over 80 of them) and open spaces. The city has over 80 miles of trails and is a haven for those who want to live near the great outdoors without sacrificing proximity to a large metropolis. 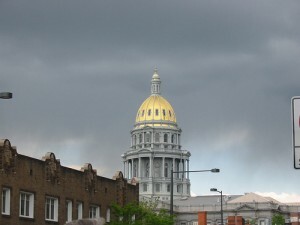 My favorite city in Colorado, Westminster is 12 miles northwest of downtown Denver. The shopping is great and there’s plenty of open space and trails. Apartments here and in neighboring Thornton are some of the more expensive places in the State to rent an apartment, but the cleanliness of the cities along with the access to the beautiful outdoors is well worth the extra cost. 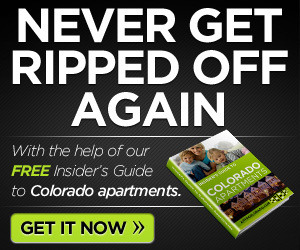 So, if you’re looking for apartments, Colorado has plenty of them. Make sure that you check out the cities listed here if you love big cities and want to be within 90 minutes of the capital. How about you? Find any apartments? Colorado is a great place? Comment below. *** If you’d like some help finding an apartment in Colorado, I’ve got a whole staff of people standing by to help you for free. Call one of our apartment experts at 877-676-1767. 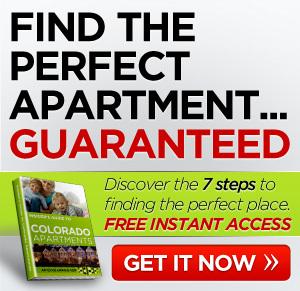 Apartments Colorado: Looking for Apartments? © 2019 Apts Colorado. All Rights Reserved.